Last week, the legendary Dr. Jane Goodall visited "The Tonight Show Starring Jimmy Fallon." 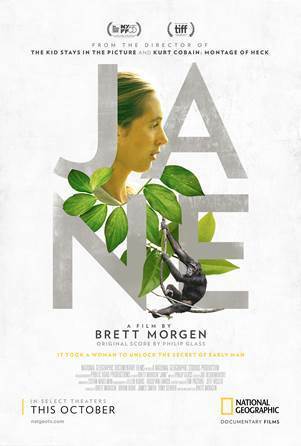 With a new documentary coming out in October entitled "Jane," and Dr. Goodall running a new masterclass, there was a lot for the two to discuss! 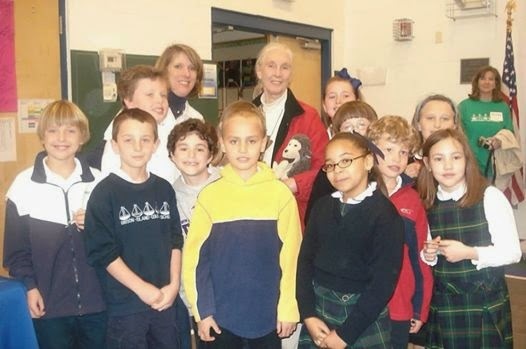 Nearly 10 years ago, I met Dr. Goodall at a "Roots & Shoots" fair at my school at the time. Watching her now on Jimmy Fallon, she's just as sharp as she was back then! In case you missed it, you can watch two clips here, or go check out the full episode on the Tonight Show. Her part of the episode comes about 26 minutes into the show. "Jane" documentary photos from http://www.imdb.com/title/tt7207238/mediaviewer/rm3620741120, Jane Goodall class photo from my camera, videos from https://www.youtube.com/watch?v=moGxtFqMvpo and https://www.youtube.com/watch?v=XrEmAKCbeTU.